Was the light bulb invented before or after glasses? 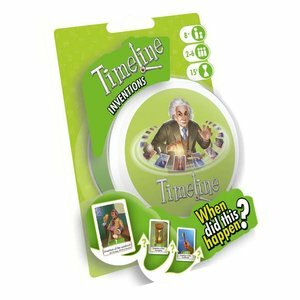 In Timeline Inventions, you can learn the answer to this question and many more, all while having fun! Each card has a different invention, and on the opposite side of the card is the date it was invented. 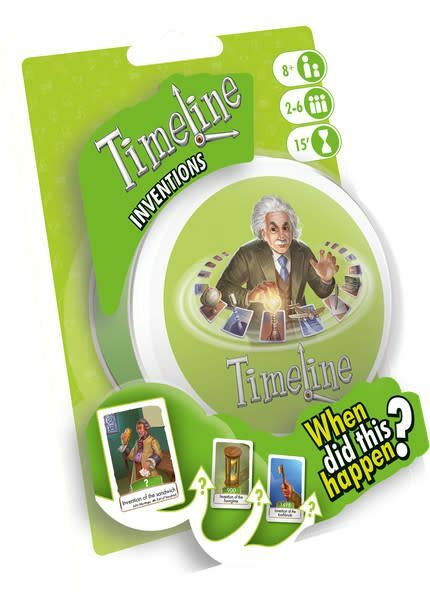 Players start with one randomly drawn card in the middle of the table to form the timeline, and on your turn, you place a card before it or after it - depending on when you think it was invented. If placed correctly on the timeline, the card remains. Otherwise, the card is discarded, and a new one must be drawn to replace it. The first player to get rid of their cards wins!